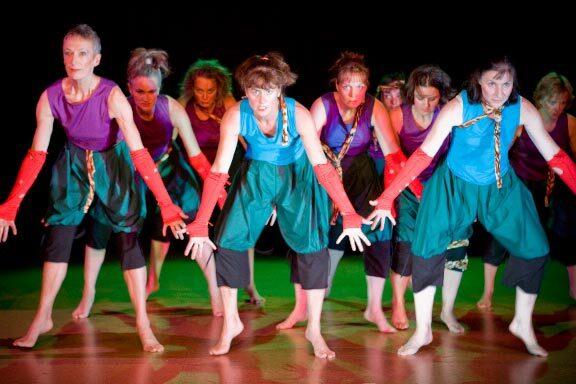 Choros was the main dance in our tenth anniversary show, performed at the 2009 Wellington Fringe Festival. audience dazed, delighted and disconcerted. 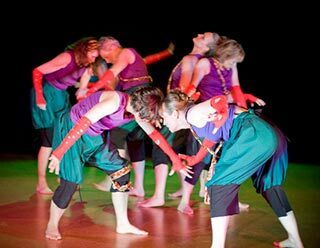 Choros is a sensuous Bacchanalian revel danced to View From Olympus by acclaimed New Zealand composer, John Psathas. “I have had a love affair with ancient Greek theatre since my student days. While lecturing at Dunedin College of Education in the 1980s, I co-directed and choreographed a memorable production of Euripides’ The Bacchae. It is exciting to re-visit this material with Crows Feet Dance Collective, and especially to choreograph to the fabulous score by John Psathas. A work of rare beauty, visual power and simplicity.